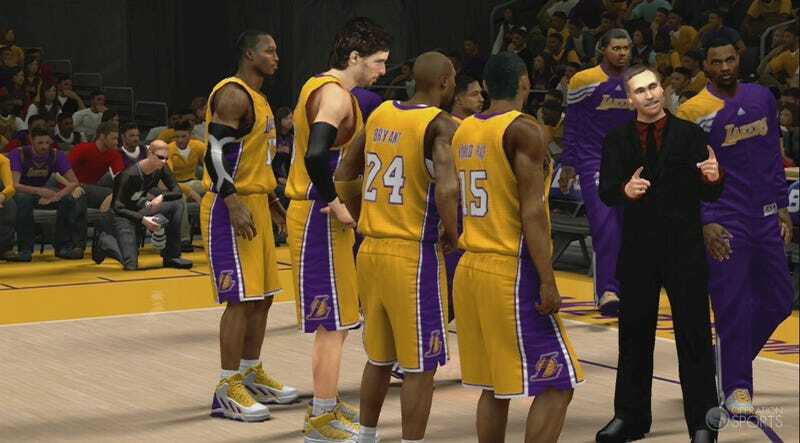 What's Going on With NBA 2K13's Roster Update? The state of NBA 2K13's roster update has been uncommonly bad to date. In the most recent episode of the Press Row Podcast, Operation Sports' normally placid Steve Noah needed bleeping when discussing the slowness and inaccuracy of the update. "There's been three players added in the latest update," Steve said, in a podcast recorded on Sunday. "Thirty are missing." These are players missing from their correct teams either as trades or free-agent signings. The update released on Tuesday has 25 players missing, adding only two new names. Moreover, Pastapadre notes that only one player has had his ratings adjusted since the season began—Landry Fields, whose one-point drop seems so arbitrary as to be pointless. "This is crazy," Noah said, pointing out that the player population of the NBA is about 450, compared to 1,700 in the NFL, which gets a weekly update for Madden NFL 13. And hex-edited rosters—the kind that exposed the NBA's Christmas uniforms before the league had announced them, appear to be damaged by the 2K Share service, requiring additional workarounds just to be usable. So community efforts to provide workable, reliable rosters two weeks into the season are being thwarted, according to Noah. The game still has the time to update new floor designs and put Mike D'Antoni on the Lakers' sideline in the wake of Mike Brown's firing (this wasn't too hard; D'Antoni's likeness was already in the game as an assistant on the 2012 U.S. National Team). Yes, many of the roster moves don't concern marquee performers that gamers look too. Still, this is what you sign up for when you promise simulation quality realism, and this isn't a title update. The content is sent out over the 2K Sports servers. The tardiness of a fully accurate roster, now two weeks into the season, requires some kind of an explanation by now.